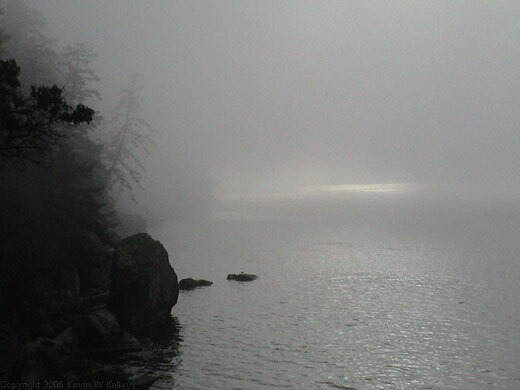 Sun hints through coastal fog. 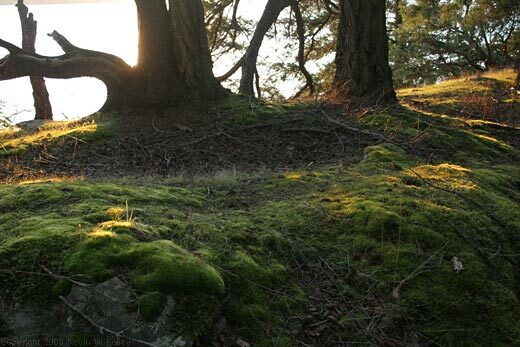 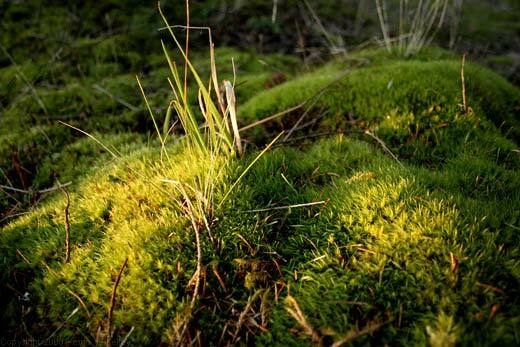 Grass and moss in evening light. 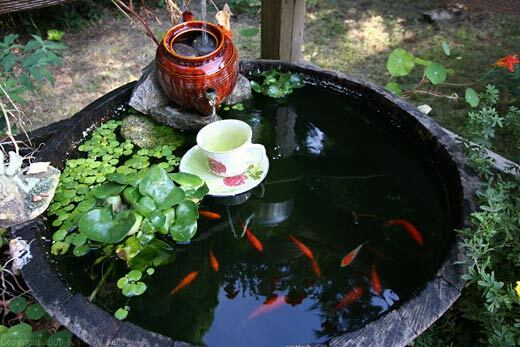 Wine cask water garden, Cortes Isnad, British Columbia, Canada. 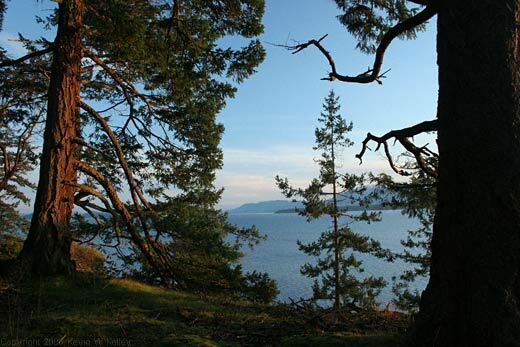 Decourcy Island fir trees in evening light.